Recovered in the bush were nine dead bodies of suspected bandits, Six Ak47 rifles, one pump action gun, 1,206 rounds of Ak47 ammunition, 7 Magazines, 28 Cartridges, and 158 expended Shells. 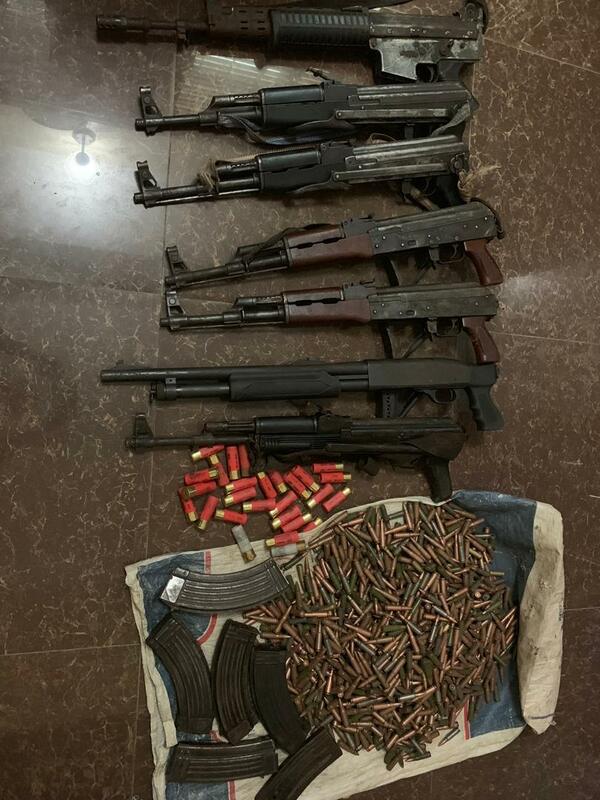 Force Public Relations Officer ( FPRO) DCP Frank Mba in a statement said : ” The unrelenting efforts to root out criminal elements terrorizing commuters along Abuja – Kaduna expressway recorded additional successes on April 10, with the recovery of six Ak47 rifles, one pump action gun, 1,206 rounds of Ak47 ammunition, seven magazines, 28 cartridges and One 158 expended shells by Police operatives attached to Operation Puff Adder deployed to the area. “The recovery followed a serious exchange of gunfire encounter, between the police operatives and a heavily armed notorious criminal gang at the Akilbu forest, off Abuja-Kaduna expressway, which resulted in the death of nine members of the gang while two escaped with gunshot wounds. One of the police operatives, however, sustained gunshot wound and he is presently receiving treatment in a hospital. The effort is being intensified to arrest the fleeing members of the gang. “While expressing satisfaction with the successes recorded so far in the fight against kidnapping and other heinous crimes across the Country, the Inspector General Police, Ag. IGP Mohammed Adamu reiterates his call for support by the public to the police and other sister agencies, as he gives the assurance that the war against armed bandits will soon be won”, Mba concluded.